We recently took a trip to Southern California. All told, we were gone for 10 days and 9 nights. 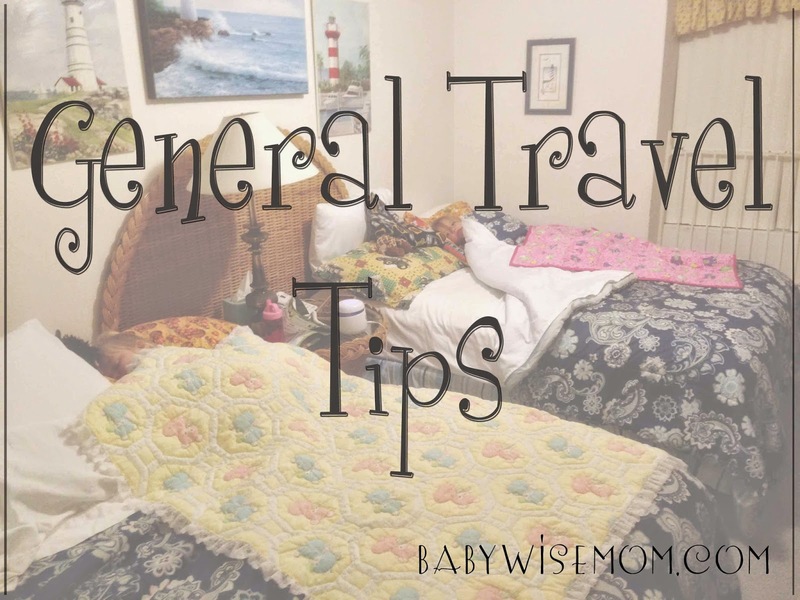 While we were gone, I took note of any tips I thought of that add to the travel tips I already have on this blog so I could share them with you! I know, special. Every time we go on a trip, I make a list of things to pack. That is fine and dandy for me when it is just me, but I am packing for 5 (and making a list for 6), plus prepping a house and pets for us to be gone. I wanted to make a list that I could use in the future instead of spending time re-writing the list every time we go somewhere. Needs can changed depending on where you are going, but many of the basics are the same. I decided to try out an app. I downloaded several apps and tried them out. I settled on liking “Packing Pro.” It isn’t absolutely perfect–there are things I would change. But it is my favorite of all of the apps I tried. We got to our destination late at night. Really late. I had just packed everything into everyone’s respective bags. If I did it over again, I would have had a bag for our first night that would have PJs, toothbrush, and anything else the kids needed to get into bed. Once we got there, it was an hour before we had things unloaded, sorted, and kids in bed. It would have been nice for them to have gotten to bed 45 minutes sooner. This same principle can apply for any time you are changing locations. We spent the first half of our week in a condo, then traveled to a different city and stayed in a hotel. I would have liked a bag for the first night there, as well. Whether you are taking in the sites, at an amusement park, or taking a pit stop on your drive, have a policy that everyone pees at the same time. If one child needs to go potty, the other children will say, “No, I don’t need to go.” Then 30-60 minutes later, the next child will need to go. I tell my entire family that we are all using the bathroom any time one person needs to. This makes it so you don’t spend more time than desired visiting the rest room. (Sidebar, I went to an amusement park with some girlfriends for a girls night out this last October–total riot by the way–and they did not follow the “everyone pees” at the same time rule. I about went insane. I swear we spent most of the night in the bathrooms. It is a sanity saving rule. And with kids, an underwear saving rule). Cookie sheet or Travel Tray. We have two travel trays and used two cookie sheets. I like the travel trays, but I do think that the cookie sheets work just great for older kids. The Travel Tray was definitely best for Brinley, but the other kids all were fine with a cookie sheet. Headphones for kids. This is for the sanity of the adults. At times in our drive, we let kids watch movies. I found these headphones on Amazon: Kidz Gear Wired Headphones For Kids. They are awesome. I got a different color for each child. They fit Brayden on down to Brinley comfortably. These headphones are made for kids and help keep the decibels at a safe level for children. I also got a Splitter so they can all tap into the same source if desired. Aquadoodle. I got Brinley an AquaDoodle Travel Doodle. She loved drawing on this during the ride. I love these things because she can’t write on anything she isn’t supposed to. She can’t drop it into the cracks of her carseat and have it melt in the heat of the car. It is awesome. Atlas. I got a National Geographic Kids Ultimate U.S. Road Trip Atlas. This occupied Brayden for most of the 12 hour drive on the way there and then each day when he had down time. He loved following the map of our travel distance. He loved reading the fun facts the book has. Kaitlyn loved it, too. It is really worth the buy for any child who can read. Books. Have the kids bring books they like–whether they can read or they are just looking at the pictures. Small toys. Brinley had some ponies to play with. Brayden had some Legos to build. Kaitlyn had some paper and pencil. McKenna had some small princesses. Have them bring some small things they like to do. Music. Music keeps our kids happy. Bring some music to listen to on the trip. Movies. Movies is a great go-to when needed. I like leaving the movie thing for as long as I deem possible. I also will institute a “bedtime” in the car if we are out past bedtime. This is when they need to turn everything off and put everything away and try to sleep. Wherever we went, we brought snacks with us. We had string cheese, carrots, grapes, and granola bars almost always. Some days we had bananas, apples, cucumbers, saltines…just whatever your family likes to have for snacks. We also had several water bottles we would refill in drinking fountains as needed. Hungry kids are not happy kids. Snacks are worth it. We do not normally snack all day long, but we had a lot of snacks during our days. We didn’t think to pack a backpack to just be for our use in the parks to hold our stuff. Luckily Kaitlyn had a good one we could use that she had pack as her bag of fun. We just moved all of her stuff out and used it in the parks. I have always loved to travel. When I was in high school, I brainstormed what I could get at places I went as souvenirs. At the time, a lot of people were getting shot glasses or little silver spoons with the place they went on it. I wanted something that would not take up a lot of space. It hit me to get post cards. Wherever I go, I buy postcards from that place. At the end of each day, we went into the gift shop and everyone picked a post card that represented their favorite thing about that park. I always date the post card. I also had the kids write down their favorite memories on the back if they wanted. It is like a little vacation journal. We knew each child was going to have a place they had as a favorite park, so we let them choose a more significant and fun souvenir at their favorite park. I also got a Christmas tree ornament from each place. Our tree is not a fancy decorated tree; it is a tree full of ornaments that represent us. The ornaments will be something we will love each year as we pull them out to decorate our tree. I knew that it was going to be hard to get the water I needed if I didn’t watch it. This was especially true in Oceanside. As much as I loved that place, the taste of the water was very difficult for me to drink. I have an app I use to track my water intake. It is called WaterMinder. I was able to get the water I needed each day by tracking it. Going on vacation is notorious for causing weight gain. I don’t know about you, but I don’t like gaining weight. I also don’t like eating out for every single meal. It gets old really fast. We packed food for breakfast while at the condo and we had breakfast made for us at the hotel. We packed a lunch to take into the parks each day. We made dinner at the condo while there, then when at the hotel, we ate dinner in the parks. My husband and I sometimes shared a meal. When you are eating out every day, you can easily share meals because they are so high in calories. While on our trip, I lost almost two pounds (let’s not discuss Thanksgiving). We had a sound machine for the children. This was so helpful. At the condo, a commuter train would come by every so often. The hotel could get quite noisy. With the sound machine, the children were not disturbed by any strange noises that they weren’t used to. Some people get really backed up when they travel. I wish I had brought some Miralax for some of the kids who needed it. That will be something I bring with me in the future. Being on the go all day and being in a strange place can make for some irregularity. When we go camping, we always have a bag we use to put our dirty laundry in. It is very nice to not mix the dirty clothes in with the clothes we didn’t use. I always pack more clothes than we need because you never know when you will need to change. Having the dirty laundry in a different bag from the clean clothes means clean clothes get put away when you get home rather than getting washed because it got stinky with the dirty clothes. Our camping laundry bag is packed away for the winter, but we just used garbage bags. As soon as we got home, I started the laundry and I was done about 14 hours after we got home (and most of that time was night time). Very easy to do when the laundry is already separated from your clean clothes. I don’t know about you, but I really like to sleep on my own pillow. And I find my own blanket very comforting. I even took my own pillow to Hawaii. Yeah, I like it that much. Kids sleep well with their own pillow, blanket, and a familiar stuffed animal. There you have my new tips! Be sure to see my Travel Index for a full list of travel tips. For tips for planning the perfect family vacation, see my post on How to Plan the Perfect Family Vacation.